We provide high quality window blinds in Tampa, FL at lowest discounted prices. The best part is that we can bring the showroom to you so that you can see the options that you have, right there in your living room. Take advantage of a free in-home consultation or stop by our Casselberry showroom and take a look for yourself here. 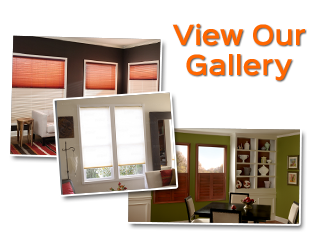 We offer high quality window blinds in Tampa, in a wide variety of colors and styles. Never settle for less than the best when it comes to your window treatments; we can provide you with the name brands, innovative technologies and latest fashion trends – all for the lowest prices around. Get the look that you have always wanted at a price that simply can’t be beat. And you will be just as satisfied with the superior quality of the professional installation we provide you with, as well. Ready to get your next window covering project started? Call us today 813-358-6705. 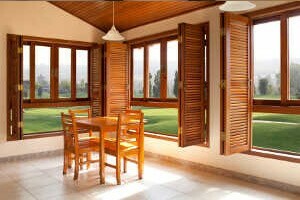 One of the classic staples of stunning window coverings are plantation shutters. With classic style plantation shutters you get a timeless window covering option that works with any room. From natural materials to a wide assortment of color choices, we will work with you to find the perfect look for you. Let us work with you in order to help you understand the exciting options that you have available. From there we can provide you with free measurements and a quick turn around so that you can have new custom shutters in two weeks. Give us a call today at 813-358-6705 and let’s get started. Blinds are a mainstay in almost every home, office or other type of building, but you have to make sure that you get only the finest in quality products. Let us work with you so that you can see the choices you have and we can help you make the right choice. Call today for your free in-home consultation and let us show you all we have available. 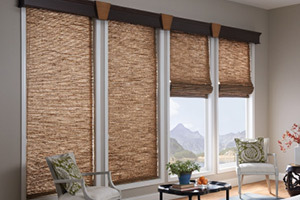 One of the best things about our service is that we can also provide you with free temporary shades while you wait for the arrival and installation of your own, permanent, custom window treatments. We look forward to working with you and showing you firsthand how we earned the reputation we have. Get the finest in deeply discounted, high quality, name brand window coverings. There is something simply stunning, elegant and chic about natural shades. 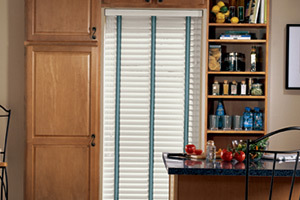 Choices like woven window shades add an element of earthy, natural appeal that works with any color or any style. Although casual, they can help tone down a sophisticated look without taking away from it. Natural shades also allow the ideal amount of light to filter through, while still providing you and your family with the privacy you need and deserve. The idea is to make sure that you have the quality you need. So give us a call today to find out more about all of the options you have available to you for your home, office or other application. When it comes to your home or office, only the best will do which is why you need to call on Gator Blinds to get the job done. 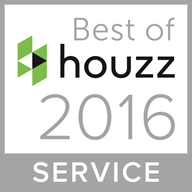 We take great pride in the work that we do and that shows in the results that we get, including right down to every last detail. We are a local Shutters Tampa company that works with a local manufacturer, which means personalized attention and a speedy turn around rate. You also get the best in professional installation and a manufacturer warranty; it’s all about peace of mind for the choice you make. We can even take care of important tasks like window and blind cleaning and fast repairs. It all starts with your free in-home consultation so give us a call today so we can get started. 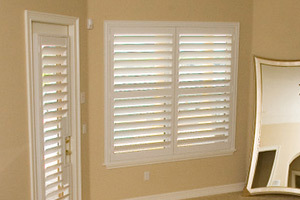 Get in touch with us right now and let’s start working on your Shutters Tampa window treatment service needs. 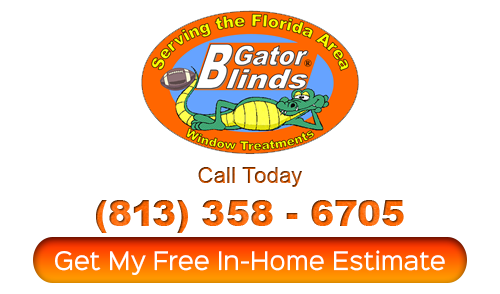 If you are looking for a window blinds in Tampa, then please call 813-358-6705 or complete our online request form.